Great doctor very professional and knowledgeable, best experience ever at a doctor's office, I went today with my son andwe got all tests done in less than a hour, doctor shared the results with us right away, the ultrasound technician incredible nice, front desk great attention, I truly recommend this great team of professionals, exceeded expectations, great job. Great doctor very professional and knowledgeable, best experience ever at a doctor's office, I went today with my son and we got all tests done in less than a hour, doctorshared the results with us right away, the ultrasound technician incredible nice, front desk great attention, I truly recommend this great team of professionals, exceeded expectations, great job. Dr. Rick Pumill is Board Certified in Cardiovascular Diseases and Internal Medicine. He is a member of both the American College of Cardiology and The American College of Physicians. Dr. Pumill received his M.D. at the Ross University School of Medicine. He completed his residency and fellowship in Cardiovascular Disease at The Jersey City Medical Center. Dr. Pumill has published articles on a variety of subjects including Isorhythmic A-V Dissociation in the American Heart Journal. 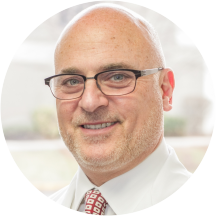 He is affiliated with Hackensack University Medical Center, Meadowlands Hospital and Palisades General Medical Center. He is a warm, knowledgeable doctor who I would highly recommend. Fantastic explanation by doctor. Highly recommend! Fantastic. Doctor was caring and had great bedside manor. Explained everything in detail on a white board in terms I understood. Dr. Pumill is fantastic! Very thorough, detail-oriented and extremely knowledgable. He is kind, generous and listens intently. He is a doctor who actually cares. And his office staff is amazing. I found the doctor to be friendly, warm, easy to talk to and someone I feel that I can trust in what he states. I would give him 6 stars if I could. Excellent doctor. Spent plenty of time with me. Highly knowledgeable. Nice person. Office staff is great as well. Highly recommended. Dr. Pumill was very thorough, informative, and patient. He answered all my questions in a way that made me feel neither rushed nor pressured. His secretorial and nursing staff was excellent as well! Would absolutely recommend! Dr.Pumill was very nice and attentive. The rest of his medical staff were genuinely nice and caring. My only negative feedback would be with the receptionist area. They seemed impatient and in a rush to get me out when I had a few follow up questions.